There are such amazing cheap and free museums in the Dallas/Fort Worth Area. You could easily visit one a week and still have more to visit all year long. If you’re looking for a museum outing that won’t break the bank, we’re here for you. 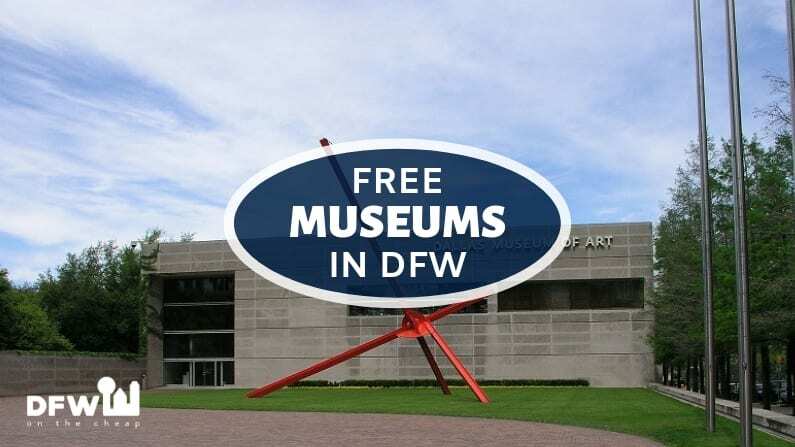 We’ve rounded up the best free museums in DFW that you can visit at no cost and curated them all here for you! Some of these museums are free only on certain days while others always offer no-cost admission. As always, we try to verify every detail of a deal but sometimes offers change without notice. Always call first or check their website before you head out. Amon Carter- Nestled in the Fort Worth Cultural District of Fort Worth, this free museum focuses on American art. Admission to their permanent collection is free, and access to most of their temporary exhibits is free but check online for the latest updates. 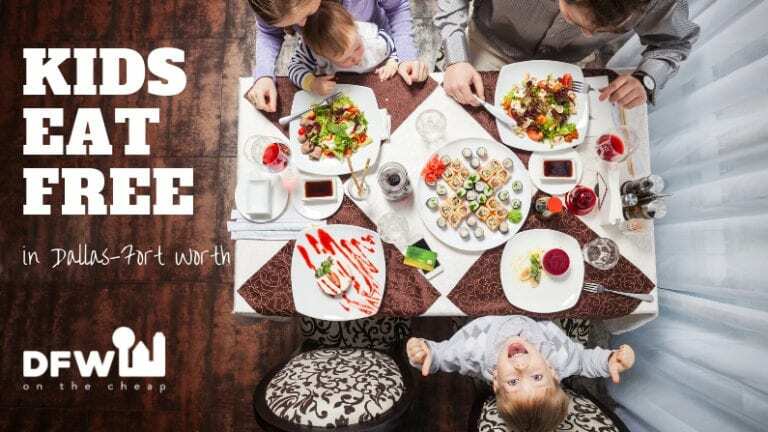 The Amon Carter Museum also sponsors family days regularly, with crafts and other fun activities including storytime for the younger set, lectures, talks, and tours by experts which are also free. The Modern Art Museum of Fort Worth- This beautiful museum focuses on art in every media created after World War II. Within their collection, works by artists such as Jackson Pollock, Pablo Picasso, and Andy Warhol cover the walls. Admission to the Modern Art Museum is free on every Friday. The Kimbell Art Museum- Located in the Cultural District of downtown Fort Worth they offer free admission to their permanent collections every day of the week. Temporary exhibits may require a fee for, but the good news is Tuesdays offer half-price admission to those exhibits. Interurban Railway Museum – Located in Haggard Park in downtown Plano, the Interurban Railway Museum is steps away from the DART Red Line rail station. You can learn the history of the Texas Electric Railway, which ran between Denison and Dallas from 1908 to 1948. The kids will love it! The Dallas Museum of Art- The first Tuesday of every month offers free general admission to the museum. They also host a variety of free programs for children at the Center for Creative Connections. They may have certain special exhibits that charge admission during the year. Also, they have wonderful free events such as jazz in the atrium and sketching in galleries that you won’t want to miss. Texas Discovery Gardens- This beautiful museum located in Fair Park hosts free admission days at various times throughout the year, but you’ll need to check their site for announcements on when these will be as they vary. Enjoy their themed gardens, and you can also get a host of inspiration for creating a garden at home! Even on days when admission isn’t free, you can find some great Texas Discovery Gardens coupons. Crow Collection of Asian Art- This museum is free for everyone, as are guided tours of the permanent collections and the European Sculpture Garden. Don’t forget the Crow Collection is closed on Mondays. George W. Bush Presidential Library– If you are an SMU student or member of their faculty or a current/former member of the United States Military, you can visit the George W. Bush Presidential Library and Museum for free. Meadows Museum-The Meadows Museum offers complimentary admission on Thursdays after 5 pm. This Southern Methodist University museum has one of the largest collections of Spanish art outside of Spain. DFW Elite Toy Museum-Toy lovers won’t want to miss this massive collection at the DFW Elite Toy Museum. Explore over 3,000 toys, with a heavy emphasis on auto toys. Admission is always free to this Fort Worth museum, and it’s open 9-5 every Monday through Friday and on many Saturdays as well. Sid Richardson Museum-This Fort Worth art museum features great exhibits of Western art with permanent and special exhibits. Admission is always free.